Growing Plants Indoors shows a depiction of a life size banana plant which seems to be trapped in it’s wooden casing. 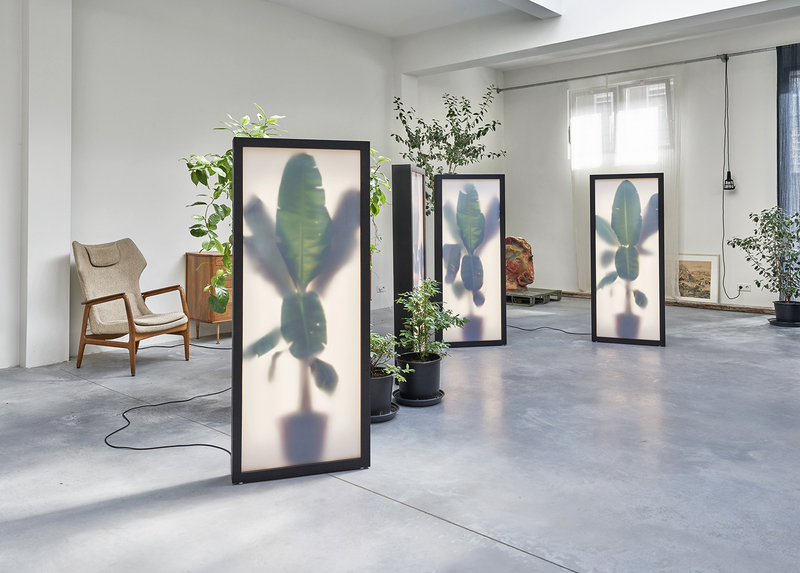 In it’s hyper realistic state, the plant behind milky plexiglass suggests to be alive, brought to life by the lights that shine trough the thin green leaves. But when one looks closer, certain facts break the illusion of the image. 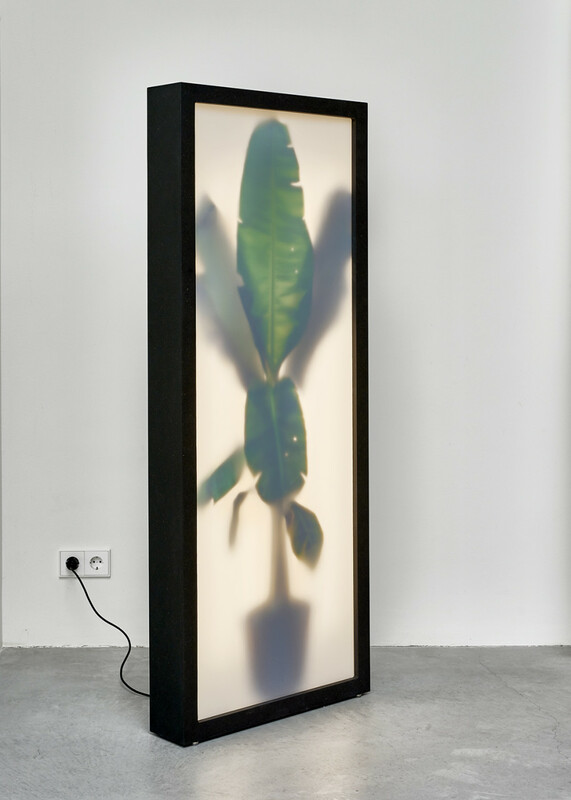 The measurements of the casing reveal the flat character of the banana plant, which turns out to be a collage/photographic representation that is sculptured inside the box. 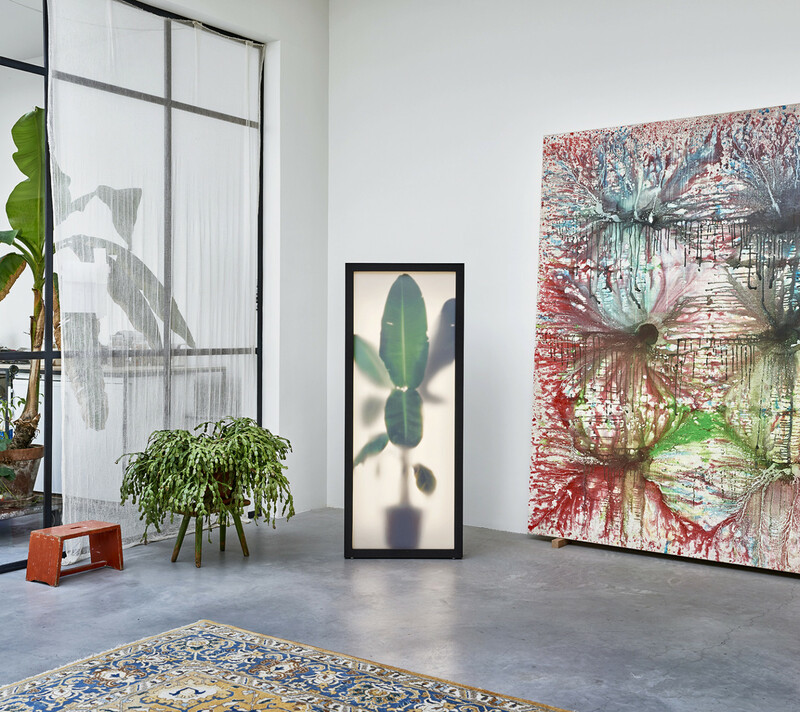 An illusion of the exotic houseplant that doesn’t need any water and can’t die, frozen in it’s temporary state. 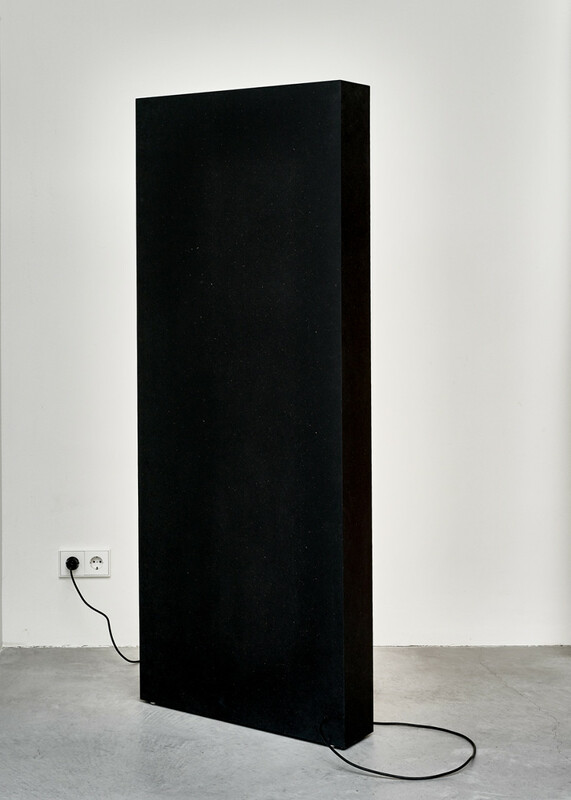 The work references the perception of an object – a familiar, functional object- in it’s personal space. 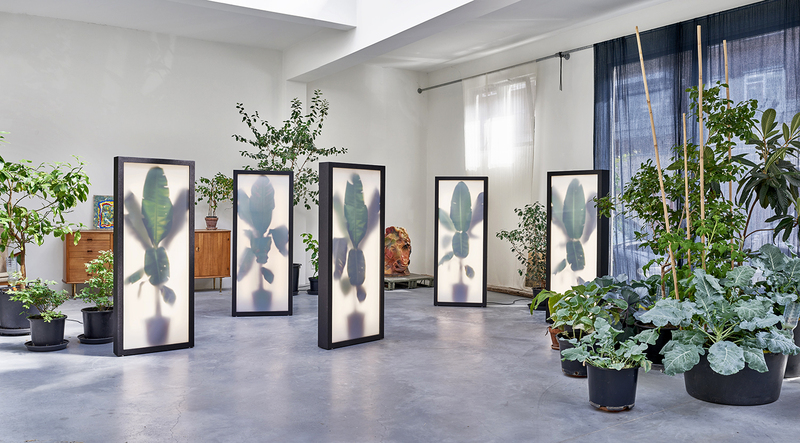 Growing Plants Indoors (2015) 156 x 62,5 x 13 cm. 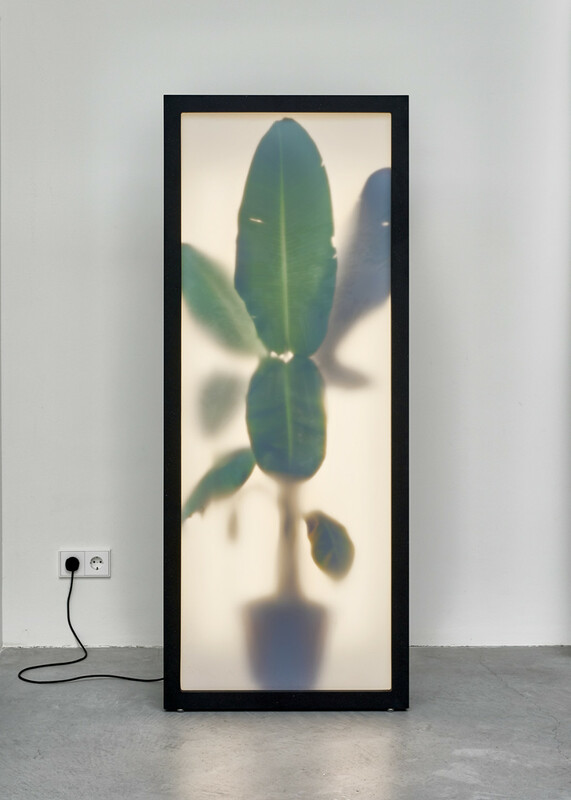 Wood, Plexiglass, led tubes, digital colour print. 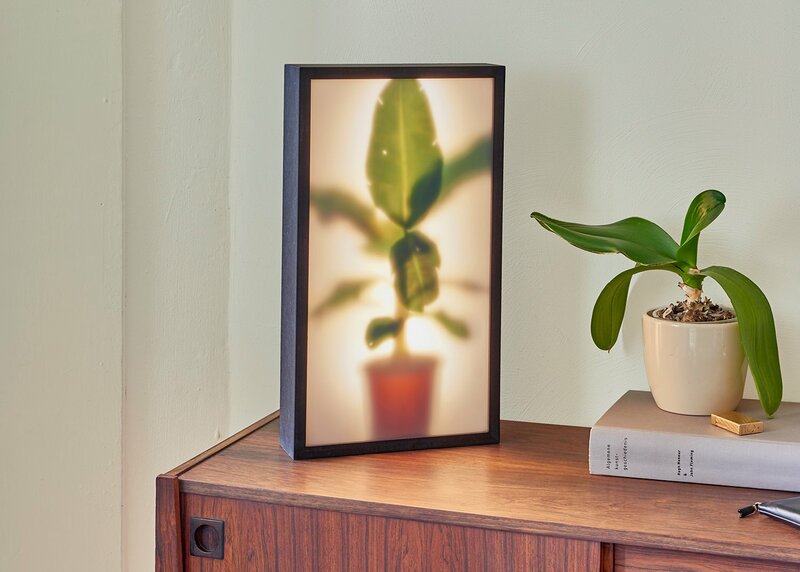 Growing Plants Indoors Musa Dwarf 51,5 x 29 x 8 cm. 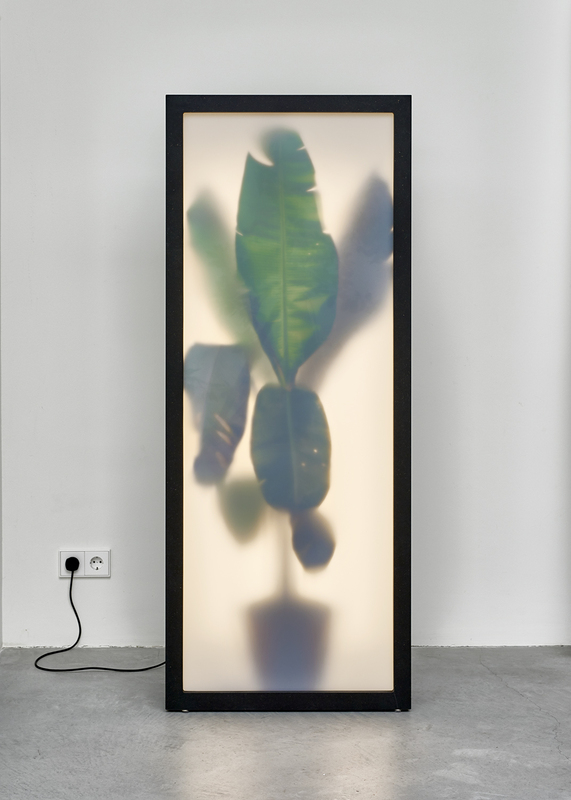 Wood, plexiglass, led strips, digital colour print.